We recently had a roast. Delivered. To. Our. Flat. Seriously, we did. What a time to be alive. 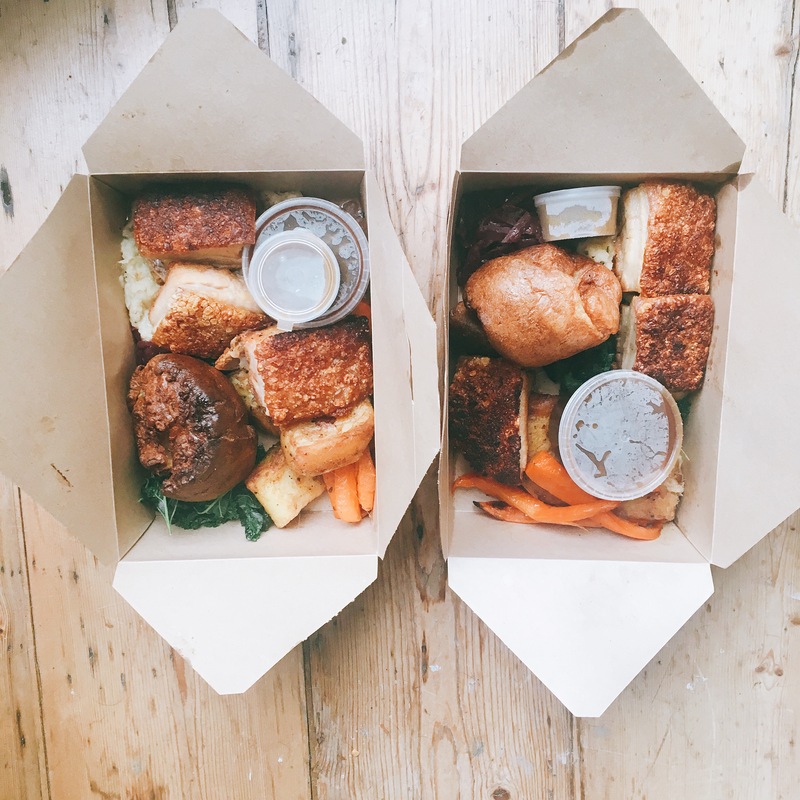 A while back, I noticed that Breeze Brasserie, of Trafalgar Street, offered roasts on their Deliveroo page and was tempted on several occasions before biting the bullet on a very hungover Sunday. 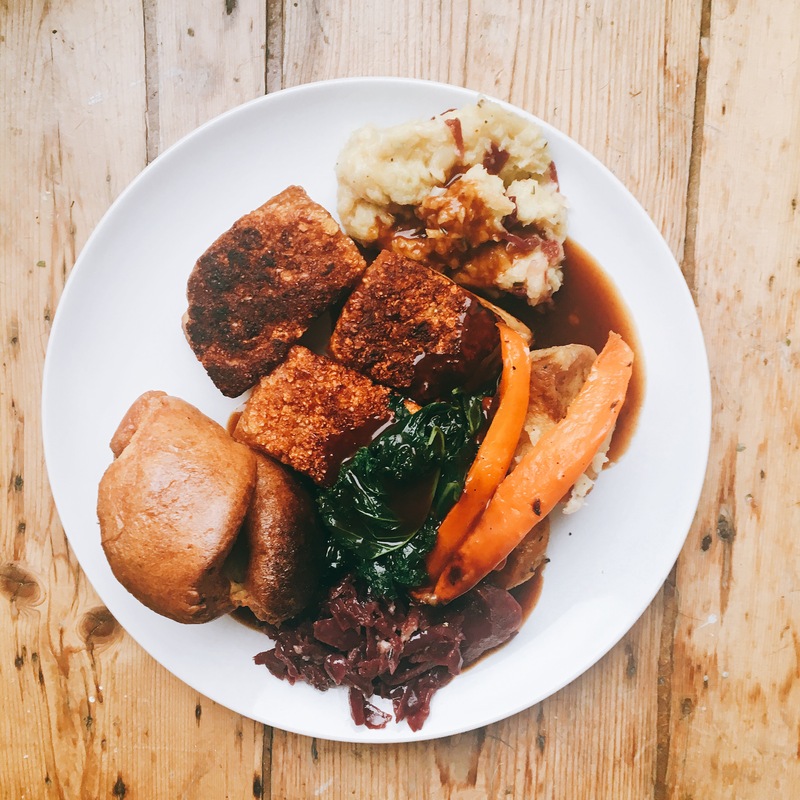 Whilst Breeze were recently nominated for best Sunday Lunch in the Brighton & Hove Food & Drink Awards 2016, I was somewhat sceptical of the quality of food that would be delivered (especially by the time Deliveroo had got their hands on it). We both ordered pork and waited the designated amount of time and a few minutes more then the doorbell went – success! The Deliveroo boy was a cheery young guy who was really friendly which gave me high hopes for the delivery! 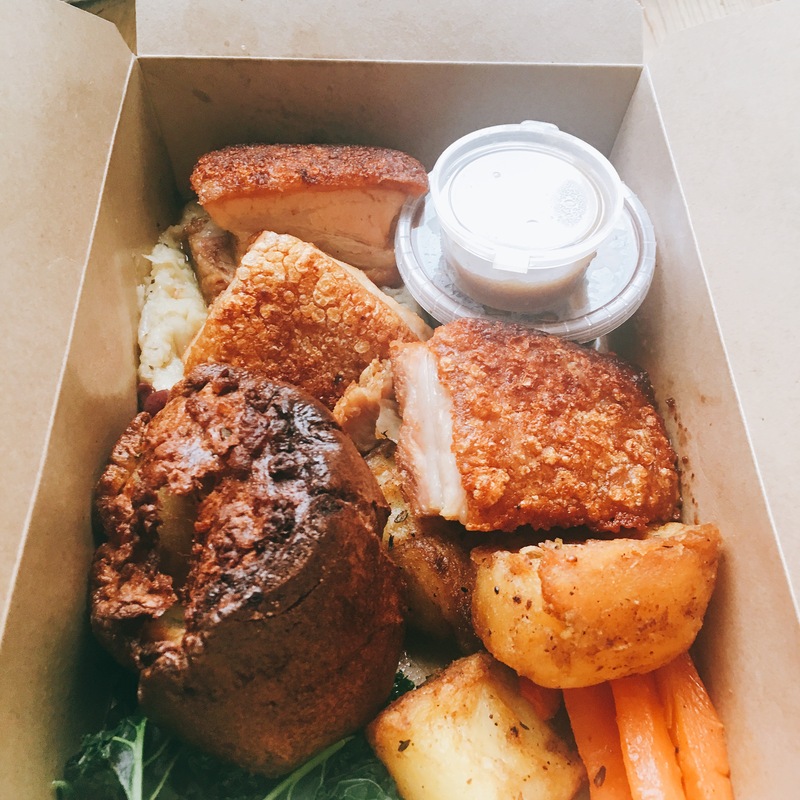 The roasts were delivered separately in cute little brown cardboard boxes with little pots of gravy (of which you can order extra at the time of ordering your roast) and apple sauce. We each had three big chunks of pork with a crispy skin, roast potatoes, parsnip mash, carrots, kale, red cabbage and a yorkshire pudding. The meat, whilst some of it was a tad on the fatty side, was such a generous helping that it definitely satiated my hangover. It was lovely and tender (and we ordered at 4.30pm on a Sunday so this feels miraculous to me) and the roasties were crispy and fluffy. The vegetables were all yummy and I loved the addition of the creamy parsnip mash. I don’t personally like kale on a roast but I really appreciated the red cabbage – one of my favourite vegetables, especially in a roast. 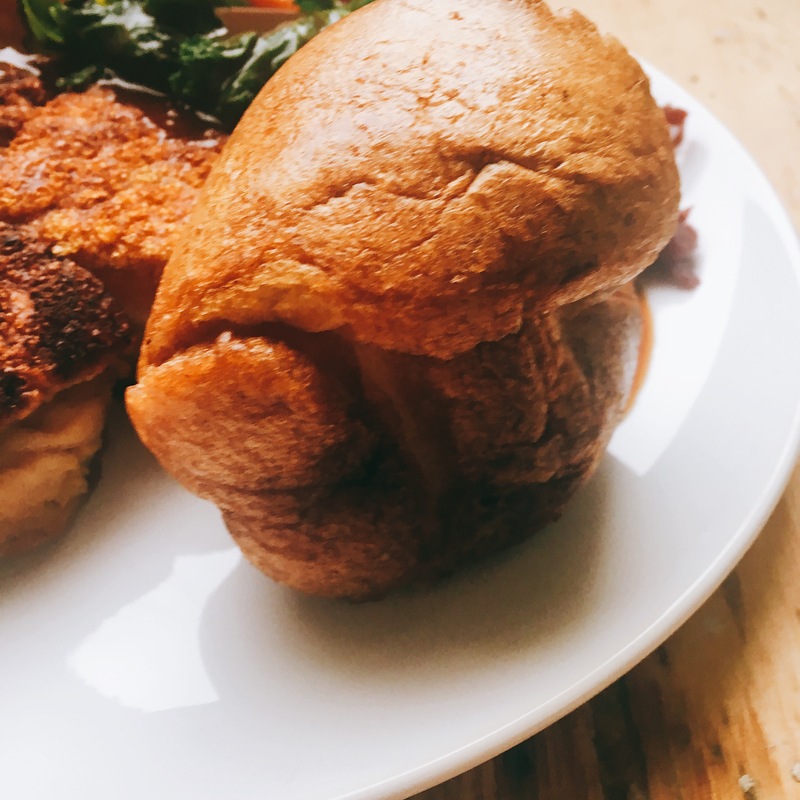 The yorkshire pudding was the best I’ve had in a long time – it was dense but fluffy and crispy and the ‘crackling’ was unlike any I’ve ever had before but lovely and crunchy all the same. 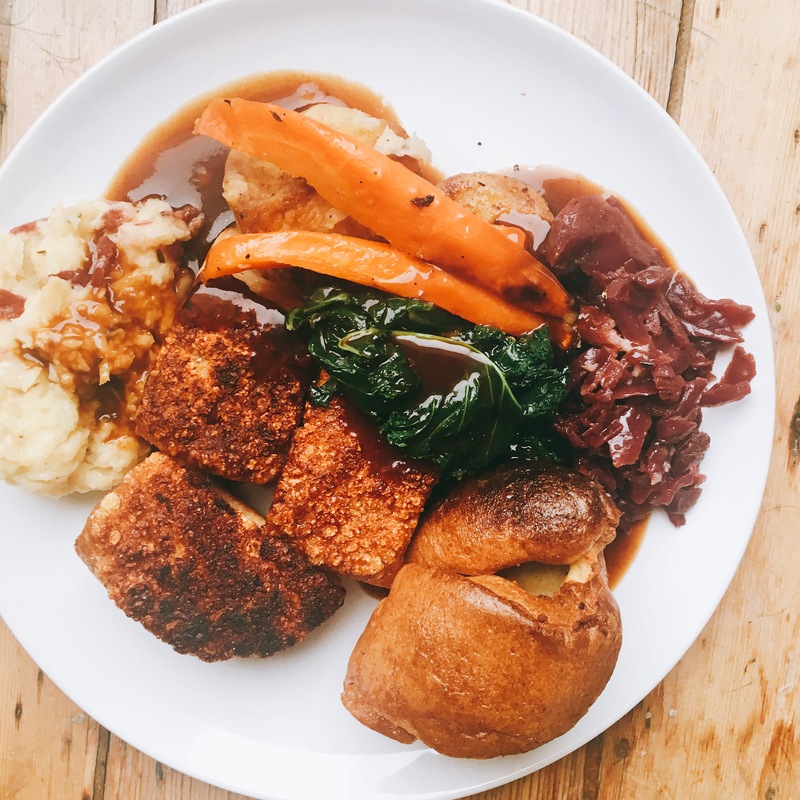 For the roasts and delivery, it came to £34.40 so it was quite pricy but for the convenience of having it delivered to the house (especially on a hangover when I can think of nothing worse than leaving the flat!) and the quality and quantity it was absolutely worth every penny. I would 100% order it again. 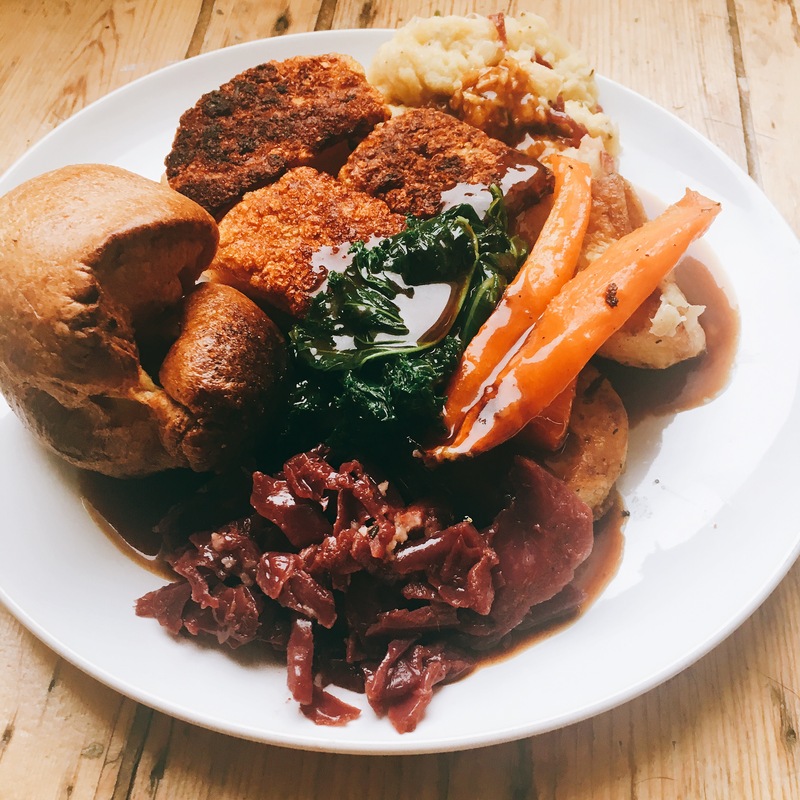 I now understand why they were voted for best Sunday lunch – if they can serve quality roasts past 2pm on a Sunday and have it travel for about 10-15 minutes on the back of a pushbike and it still end up like this then the quality of the roast must outstanding in their restaurant!